Luc won his choice of $200 gift certificate with Bluewater Photo or Bluewater Travel! The story: The black background is from shooting the nudibranch against open water. 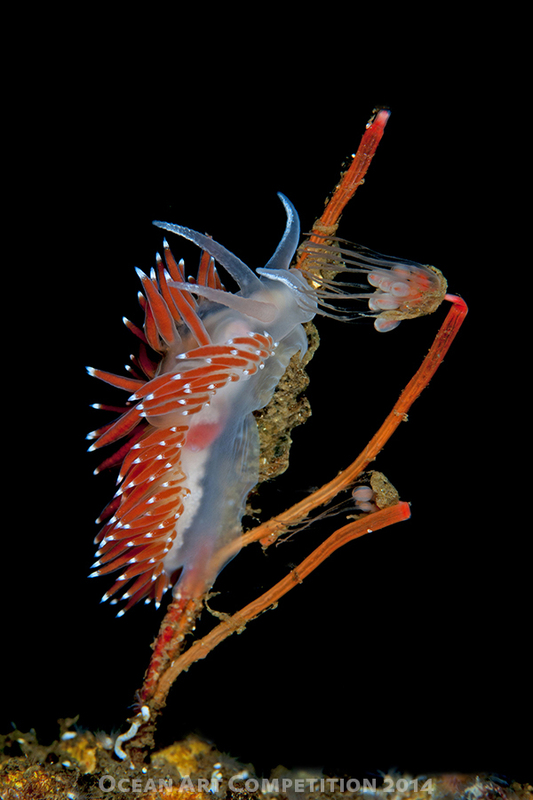 There were a lot of flabelina nobilis at 24m depth where they were eating the tubelaria on a rock full of it. Camera: Nikon D300s, Hugyfot housing, Nikon 105mm lens, dual Subtronic Pro 160 strobes.